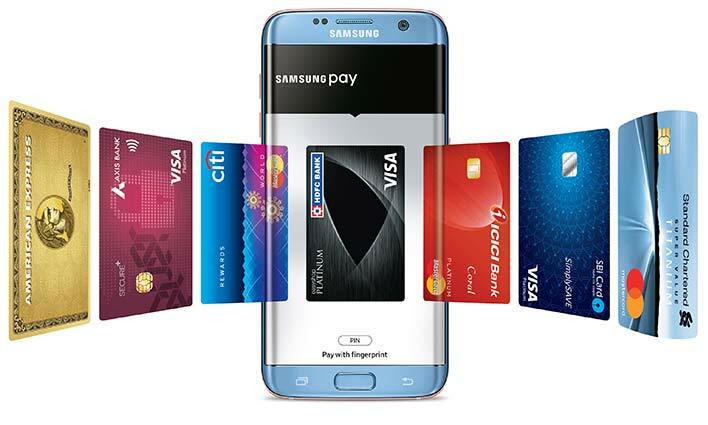 Samsung Pay, Samsung Electronics’ flagship mobile payments service, made its debut in India today. The first commercial transaction of Samsung Pay in India was carried out in the presence of NITI Aayog CEO Mr. Amitabh Kant and Samsung Southwest Asia President and CEO Mr. HC Hong in front of a capacity audience that included key banking and card networks executives. 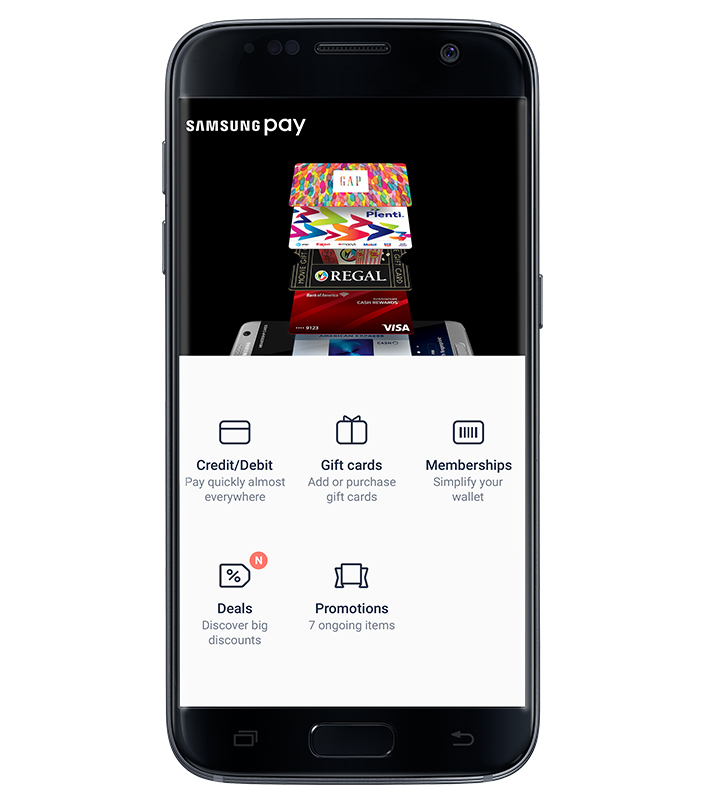 “Samsung Pay is an example of how we continue to push the boundaries of innovations to make life simpler and better for consumers. 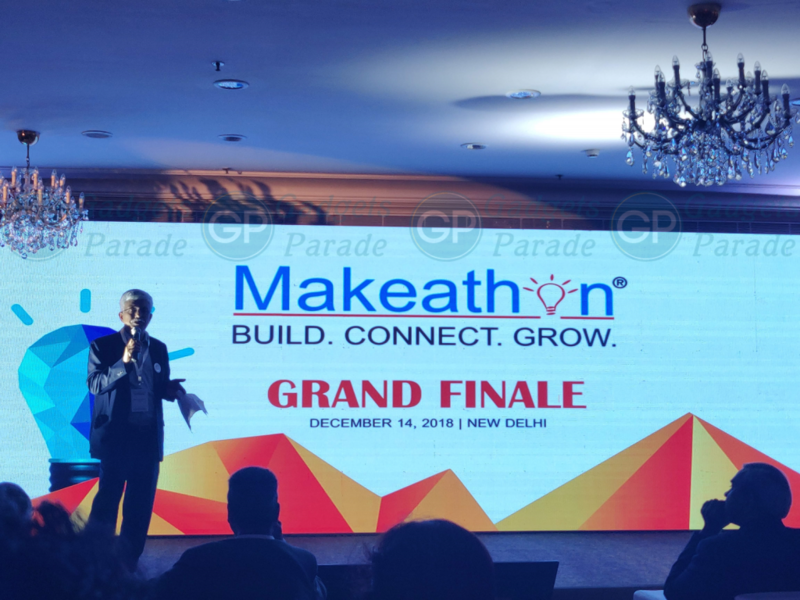 I am confident Samsung Pay will redefine digital payments and contribute to Digital India.”. 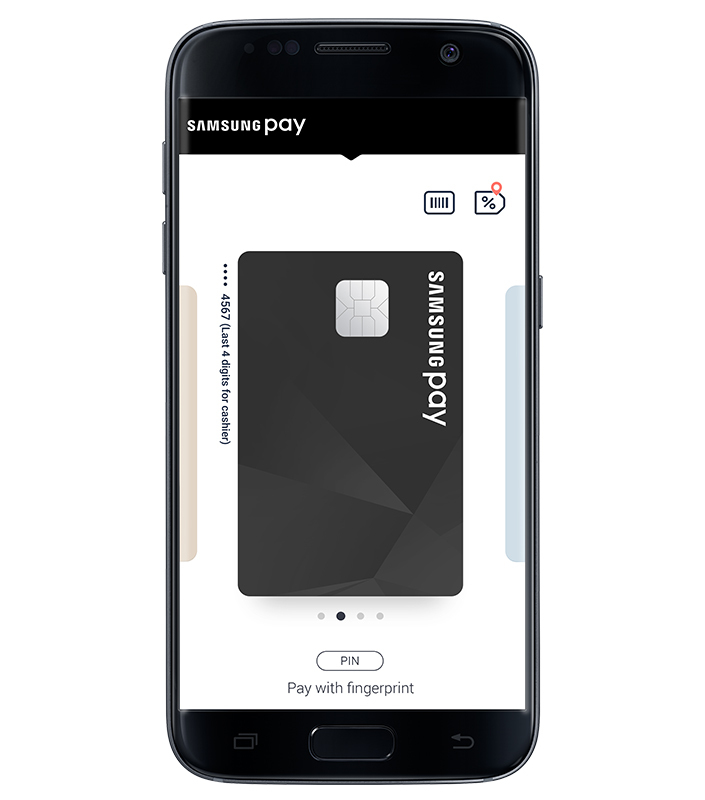 Samsung Pay works with Samsung’s patented Magnetic Secure Transmission (MST) technology as well as with Near Field Communication (NFC). 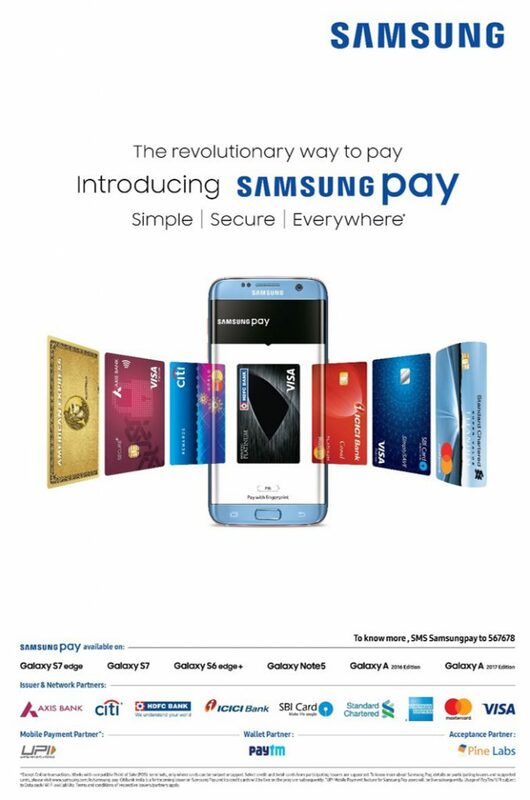 Since a majority of PoS terminals in India are MST enabled, they will work seamlessly with Samsung Pay. 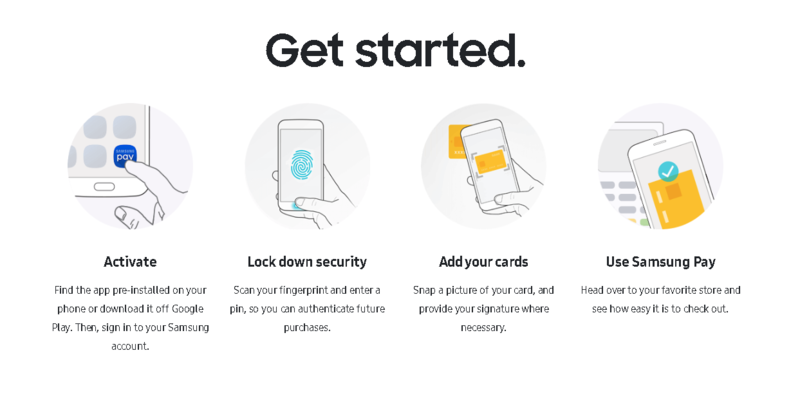 Samsung Pay has created a unique digital payment ecosystem by partnering with a number of banks and payment gateways. 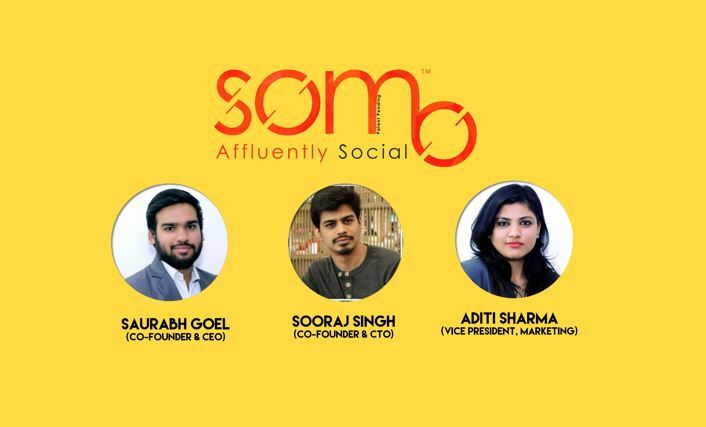 Partners include Axis Bank, HDFC Bank, ICICI Bank, SBI Cards, Standard Chartered Bank and Citibank and payment gateways, Visa, MasterCard and American Express. 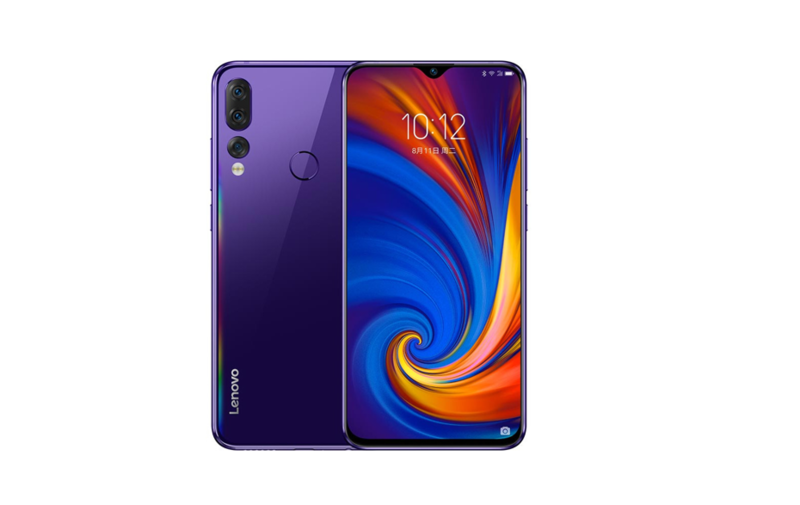 It will also work with UPI app, Paytm and Pine Labs. As of now, Samsung Pay is compatible with – Galaxy Note 5, Galaxy S7 and S7 edge, the Galaxy S6 edge+, Galaxy A series (2016) and the Galaxy A series (2017) smartphones. 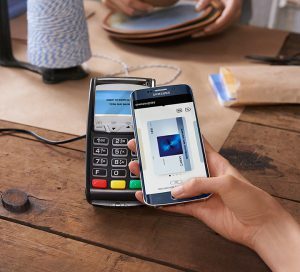 Last month, Galaxy Note 5 received an update which enabled Samsung Pay app to the phone. This service will also be available on the Samsung Gear S3 Smartwatch shortly, allowing users to pay with just the movement of their hand.